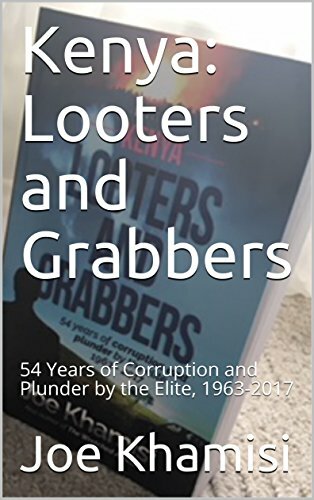 Looters and Grabbers, 54 Years of Corruption and Plunder by the Elite is a detailed account of the many corruption cases throughout Kenya. Why was this an important book for you to write? 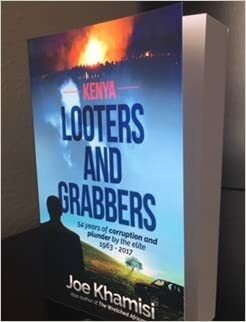 It was important for me to write this book to show Kenyans and non-Kenyans how corruption evolved from the day Kenya attained independence in 1963 to 2017, a period of 54 years stretching through four regimes. What this book shows is that corruption and bribery have a long history that goes back well before independence when the country was under British rule. The African rulers, beginning with Jomo Kenyatta, institutionalized it by engaging directly in criminal acts. They grabbed land left behind by the British instead of distributing it to the landless, encouraged relatives and cronies to engage in outright theft of other resources, and created cartels that were immune to prosecution due to their close association with the elite and the ruling class. What do you think is a common misconception people have about corruption in Kenya? The common misconception people have is that corruption is a state-sponsored malfeasance that ensures impunity for those in power. There is a saying that a common chicken thief is punished more severely than a person in power who commits a more heinous crime involving billions of dollars. And because corruption and bribery are rampant among the elite, the ordinary folk see no evil in participating in similar criminal acts. Thus, a policeman would do everything to extract bribes from passing motorists, and government clerks will hide files to entice payment, commonly known as “chai” or tea. One recent headline in Kenya said it all that everyone in Kenya is corrupt including grandmothers. And I agree. The book details contemporary corruption as well and doesn’t leave one feeling as if things will get better. Do you see positive change happening for Kenya with it’s current government or is there many changes that still need to happen? Like all previous governments, the present regime of Uhuru Kenyatta has made a myriad promises about nailing corruption. In his first 5-year term in office, not more than five government officials were jailed and those were junior officers in the civil service. The big “fish” including those in Uhuru’s own Cabinet and executive office are free despite involvement in mega corruption scandals. In recent weeks, and immediately after the release of my book, Uhuru announced some sweeping measures intended to tackle corruption including what has come to be known as “lifestyle audits” on officers – starting with himself – and changes in the way government tenders are advertised and awarded. It is too early to judge whether these measures would indeed be implemented and those found to have obtained properties illegally jailed. My own view is that that was just a PR stunt to silence corruption critics. 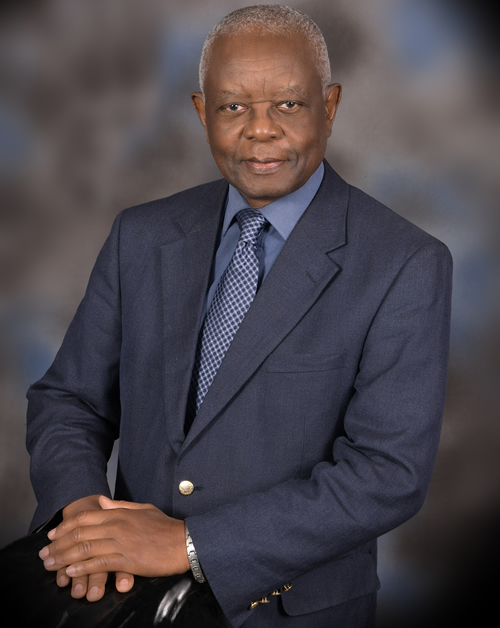 So far, the book has been positively welcomed by the majority of Kenyans who have read it. They say it was timely and informative on the genesis of corruption and on contemporary events. The irony, however, is that some “corrupt” individuals “looted” the book pdf file and began selling the file to a huge group of Whatsapp members in what was a clear violation of copyright. The action was severely criticized by writers who demanded that the looters compensate the author. A few did but that is as far as corruption has reached in Kenya. This book is about unbridled corruption, bribery and scandalous financial skullduggery in one of Africa’s most promising countries, Kenya. 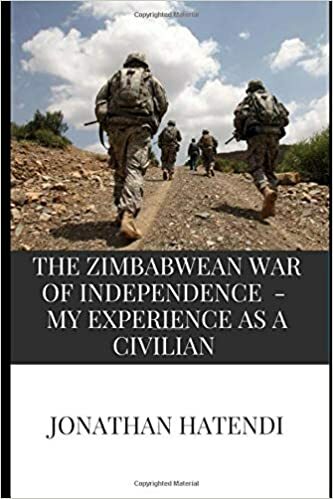 It is a narrative of money-laundering, mega scandals, and international wheeler-dealing, and describes how Mafia-like lobbyists have been devouring the country’s resources with blatant impunity over four regimes since independence in 1963. It is an important resource for historians, students, researchers, social and political scientists, non-governmental organizations, development and anti-corruption agencies. 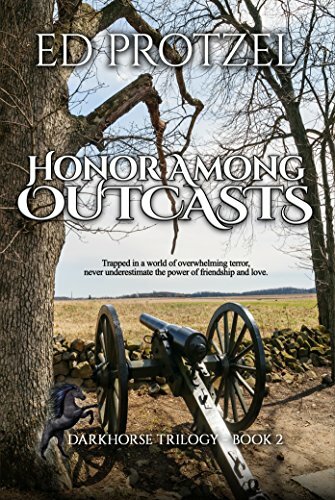 Honor Among Outcasts continues the story of the Dark Horse inhabitants that joined the Union Army as soldiers in the Missouri State Militia Calvary. What direction did you want to take this book that was different from book one in the series? Developing the novel into a trilogy allowed me to show the full historical arc and the resultant changes of the time period: from antebellum South/slave society (The Lies That Bind, book 1); to the Civil War years (Honor Among Outcasts, book 2); and end in post-war Reconstruction (Something in Madness, book 3). You see the arc. 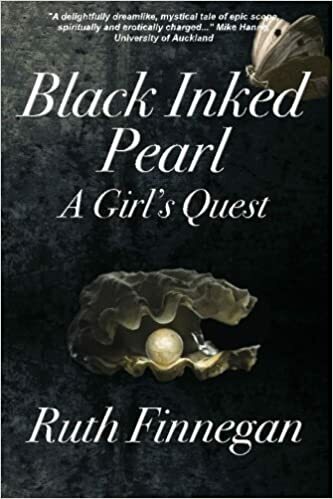 Together, the three novels depict the historical developments and their effects on the men and women, black and white, of all social stations. So to answer your question, in book 2, Honor Among Outcasts, the milieu, conflicts, plot, and themes all had to be completely different from book 1, as will those in the third. I felt like you did a great job with the historical details and facts. What were some things that you felt had to be accurate and what were some things you took liberties with? Although I am a big Civil War buff, I didn’t want to write a typical battle-type novel. Fortunately, the guerrilla war in western Missouri was like modern-day Syria, with terrible murders and depredations like the massacre and burning of Lawrence, Kansas, by Quantrill’s Confederate bushwhackers. In Missouri, combatants of both sides took scalps! I felt it important for the characters to face these major events in order to illuminate humanity’s potential for brutality and cruelty. Also, in the spring of 1863, President Lincoln began to allow “colored” regiments to be formed, but these required a white officer to lead them. Naturally, having the DarkHorse partners form their own regiment was a nice parallel to their dreams of the democratic enterprise depicted in The Lies That Bind. Throughout Honor Among Outcasts, I tried to remain faithful to the difficulties and unique dangers these regiments and the local populace actually faced. In rare cases, I had to move minor events around to aid the narrative. For example, a train raid massacre like the one in Honor did take place, but at a later date and at a different location. Nevertheless, in writing book 2, the actual history did very much shape the story. The characters were very well developed in this story, which led to some heartbreaking scenes when some characters met their end. What was your decision process like in deciding who stays and who goes? Heightened emotions give your themes greater impact. I hated to kill off some of the characters I’d become attached to, but in doing so, the reader is able to feel the senseless terror and cruelty of the time, which required more than the characters merely observing the conflict. 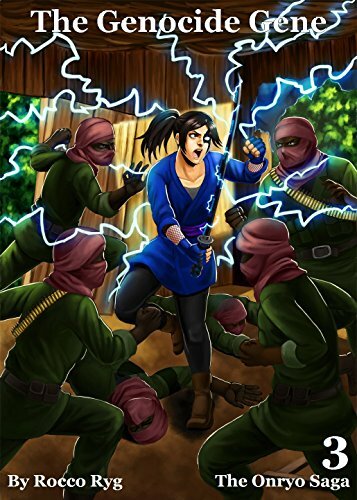 Where will book three in the Dark Horse Trilogy take readers and when will it be available? In the final novel, Something in Madness, at war’s end the surviving characters return to Mississippi, only to confront new indignities restricting the rights of freedmen in the South. Researching the Black Codes, lynchings, and other humiliations perpetrated on blacks during Reconstruction made writing book 3 tough, and I expect it will be tough on the reader, as well. History is not always pretty. I only hope the DarkHorse Trilogy does its part to see that such cruelty and hatred doesn’t re-occur. Something in Madness is planned for release in 2019. After their harrowing escape from Mississippi, abolitionist Durksen Hurst, his fiancée Antoinette DuVallier, and their friends — a group of undocumented slaves — land in guerrilla-infested Civil War Missouri, the most savage whirlwind of destruction, cruelty, and death in American history. Trapped in a terrifying cycle of murder and revenge, scarred by Quantrill’s cold-blooded Lawrence massacre and the Union army’s ruthless Order Eleven, Durk and everyone he cares for soon find themselves entangled in a struggle for their very survival. Treasure on the Southern Moor is set in the eighteenth century, during the golden age of sail, and shows how gentlemen sailed the raging seas. Written by Joshua A. Reynolds, this historical fiction novel takes the faithful crew from Plymouth, to West Africa, and back to Plymouth, with only the guidance of an old map that was given to the captain by an old sea friend. Back Description: The thrill of the sea – the song of the ocean winds – out sails and up anchor! – guided by the compass and stars – as a poet once said, “to the lonely sea and sky”. It is the eighteenth century, and the sailing vessel is the only way to travel the raging seas. The Southern Moor sets sails from England to Africa with a crew of forty-two persons, guided by a captain with his son and daughter, where those of the trusted crew hope to find treasure with only the guidance of a map an old friend of the captain’s had given him and a handful of the treasure itself, brought back from the African shoreline. With the smell of cooking from the galley, you may find them about on the weather decks reefing the sails or lashing down the ship’s boats, or listen to the captain play on his fipple flute with the accompaniment of the cello and violin. Hear the ocean waves lap against the bows, or have cataracts of sea water come flooding over the main deck in the midst of a raging storm. In Plymouth, England, there are those few friends of the captain who wonder if he will ever return. Is the Southern Moor, newly finished vessel and never before tested in the ocean waters, strong enough to sail through storms and cannon fire to reach the warm lands of the African shoreline and make the same journey back? With all of its rectangular sails billowing in the wind, bowsprit brass tip of heather shining in the sunlight, and the polish of the wood shining without a fingerprint to be seen, the Southern Moor leaves the harbor of Sutton Pool to test itself in the ocean and plough the stormy seas. . .
Treasure on the Southern Moor is expected to be in print within two weeks’ time! Check out his website for purchases and updates. Recommended for family reading. 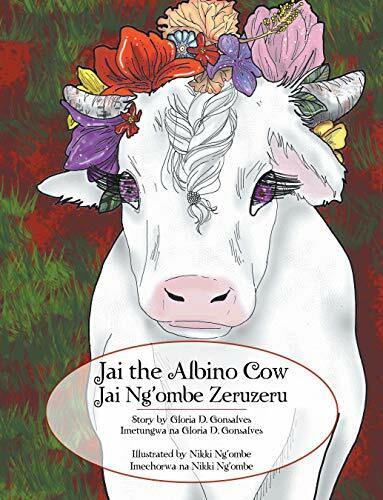 They were specially written for children but have something that all ages can enjoy. Joshua A. Reynolds writes to restore Christian virtues and family values back into society. He is a member of the Orthodox Presbyterian Church and holds to the reformed faith of Christendom. Russell Kirk’s conservatism most closely aligns with his political views, and his desire is to redeem the innocence of the “permanent things” in literature. 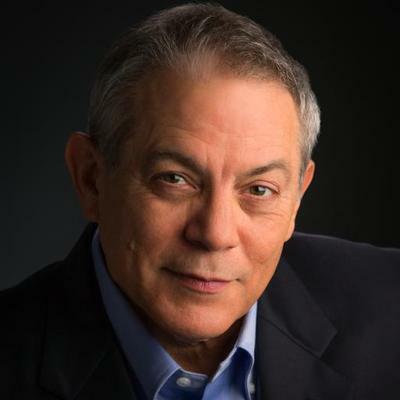 One of his main goals in storytelling is to allow the reader to understand better theology, history, and more wholesome ways of living in a simple imaginative way. Some of the authors that have inspired his imagination are C. S. Lewis, Edith Nesbit, Frances Burnett, Mary Dodge, Beatrix Potter, Kenneth Grahame, and Lewis Carroll. 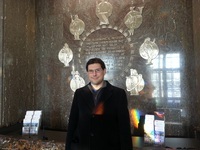 To find out more about Joshua A. Reynolds, please visit his website at www.conservativecornerstones.wordpress.com.